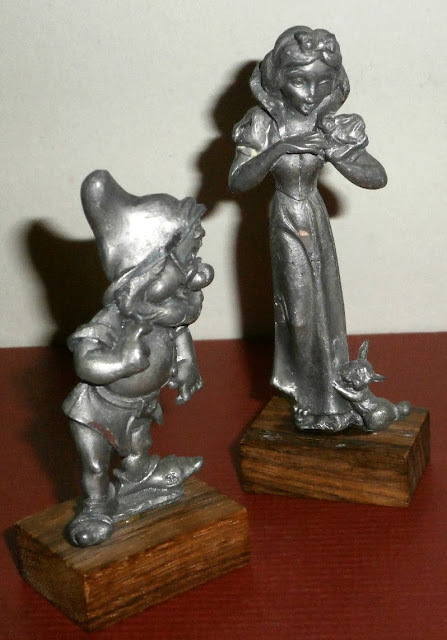 Snow White pewter statuettes, hand-chiseled figures on wooden bases. Produced in Italy. The princess stands approximately 9cm high, the dwarfs 6.5cm. 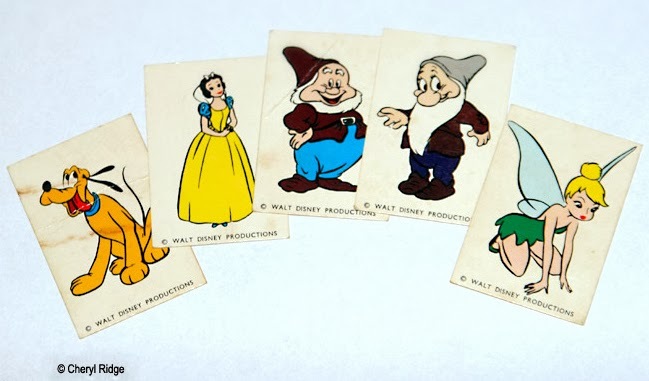 Each is marked "© Walt Disney Productions" on the back. 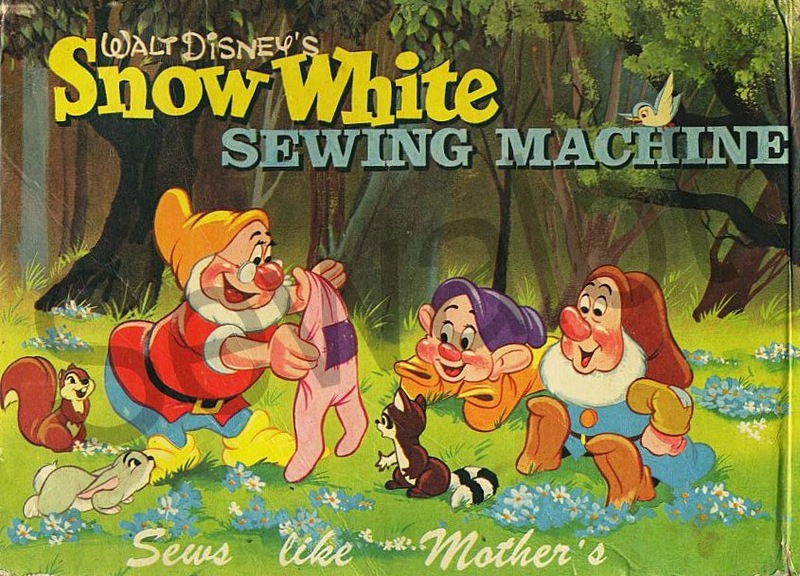 The series may date from circa 1970(?). 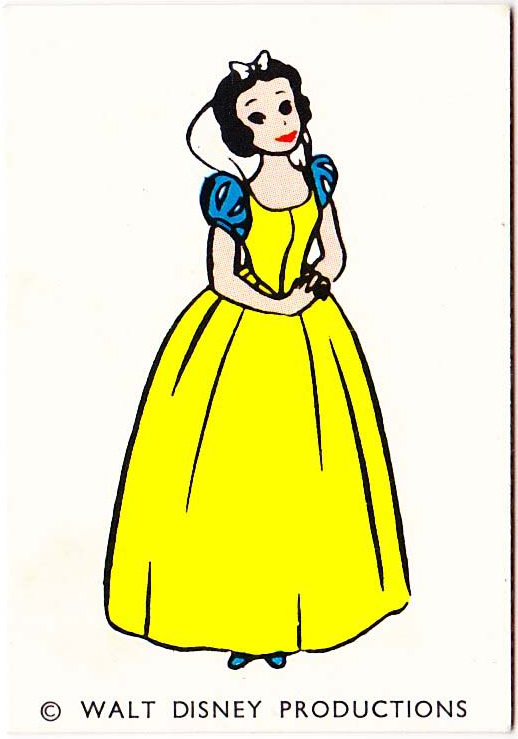 Doc (Dotto) with Snow White (Biancaneve). Bashful (Mammolo) and Dopey (Cucciolo). Sleepy (Pisolo) and Grumpy (Brontolo). 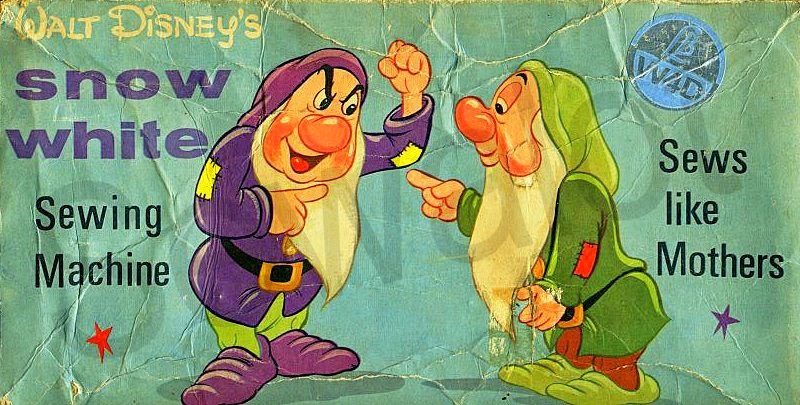 Sneezy (Eolo) and Happy (Gongolo). 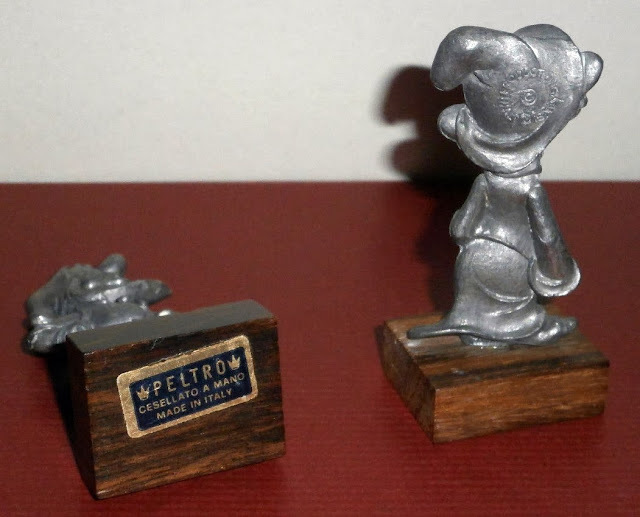 Bottom label reads, " PELTRO (pewter) - CESELLATO A MANO (chiseled by hand) - MADE IN ITALY". 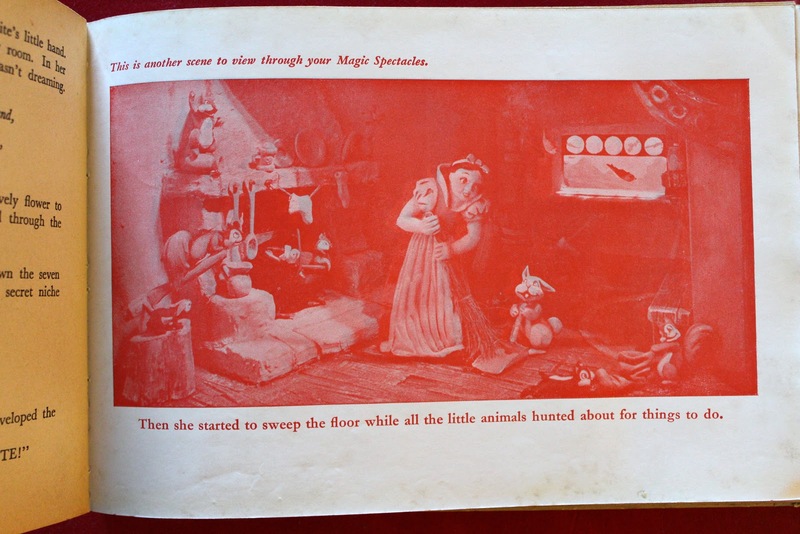 The figures were also produced with circular felt-covered bases. Images via blakemortimer2007 + funtop. Special thanks to Nunziante Valoroso for his assistance with this post. 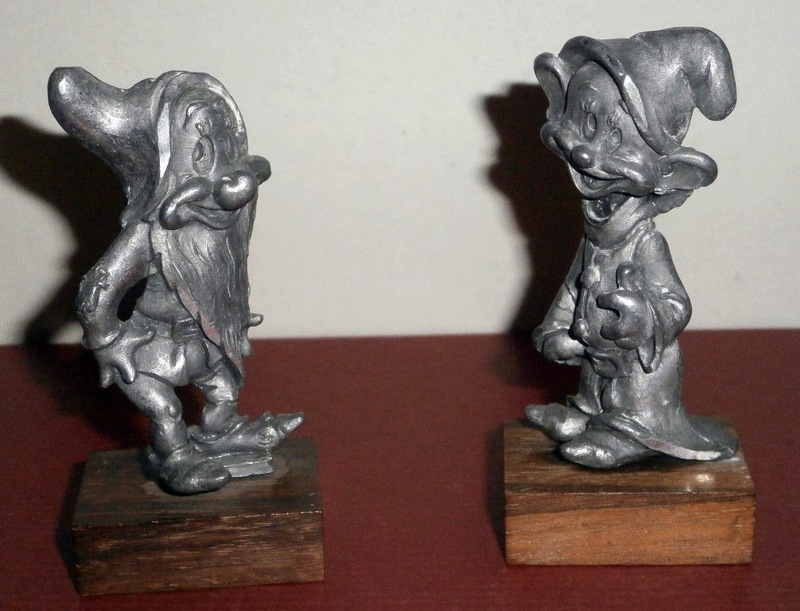 On a trip to Orlando this past spring, I had the wonderful opportunity of spending several days with author Ron Miles and his son Ben (who will forever hold the record for most rides on the now-defunct Scary Adventures attraction at WDW). 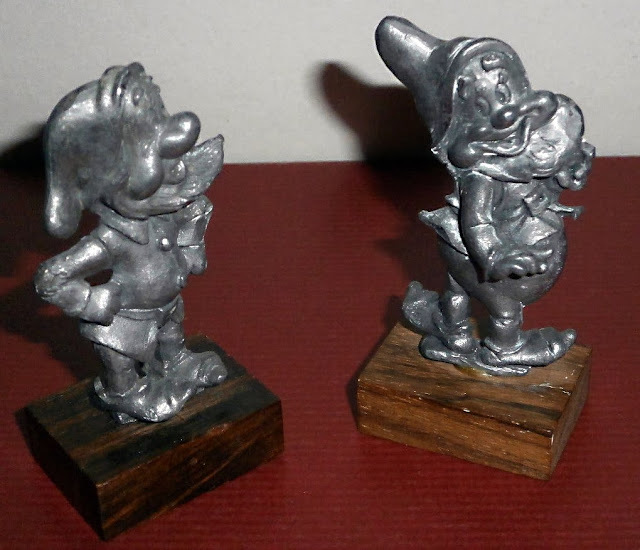 During one of our many and varied conversations that week, somehow Ron and I got to talking about the eBay PowerSeller: Theme Park Connection. Over the years, in my multitude of hours doing Snow White research, I have regularly come across their online auctions. Theme Park Connection is a huge seller of Disney items, including numerous unique and/or rare finds. To my surprise, Ron informed me that in addition to selling on the web, they also have a brick-and-mortar store. AND it was only a short drive from his house! So, of course, we had to go. You never know what they may have in stock on any one visit. 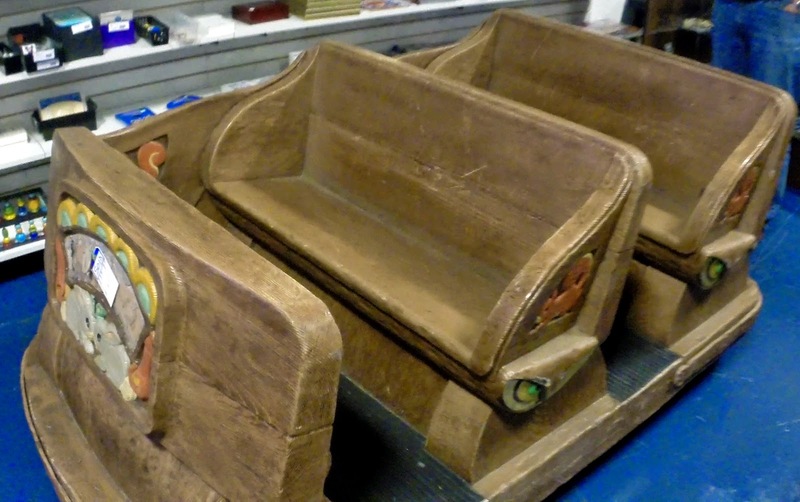 This day, it seemed quite apropos that sitting in the middle of the floor was a retired Snow White's Adventures two-seater ride vehicle. 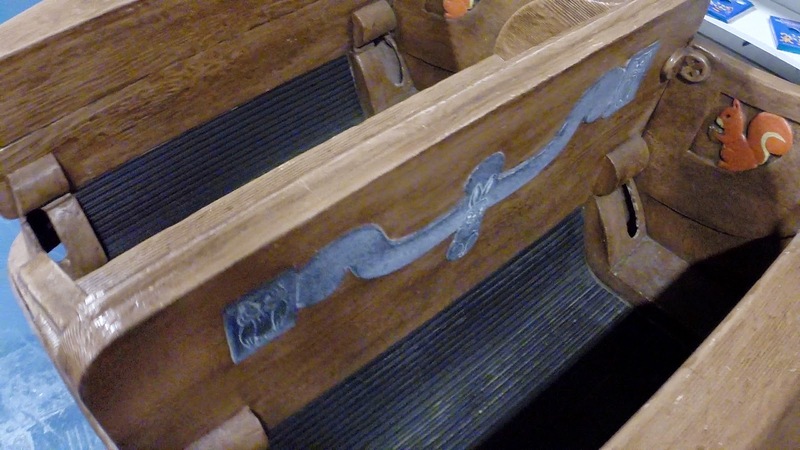 Dates from before the 1994 renovation when three-seaters were introduced. 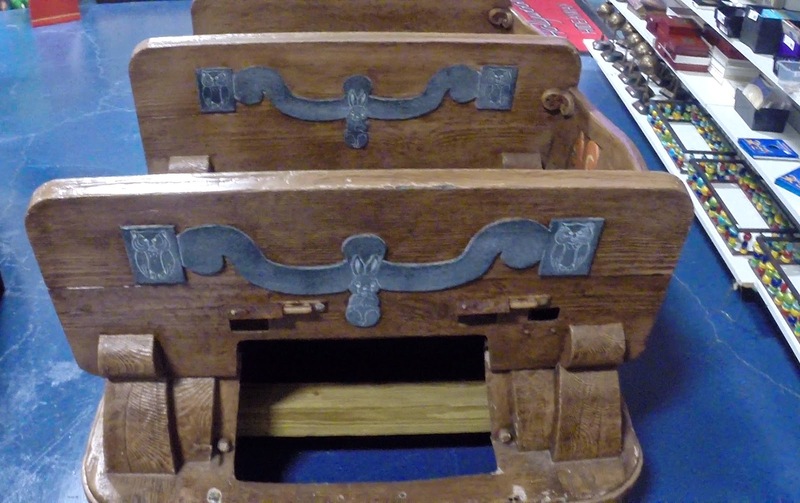 A lower back panel was no longer attached. 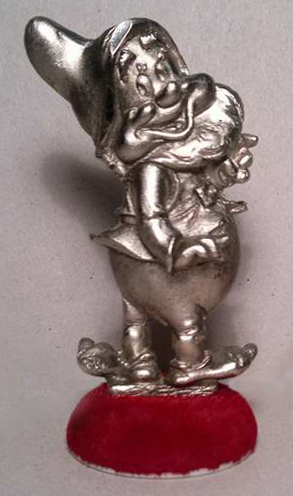 The Dwarf name plate on the front of the car had also been removed. 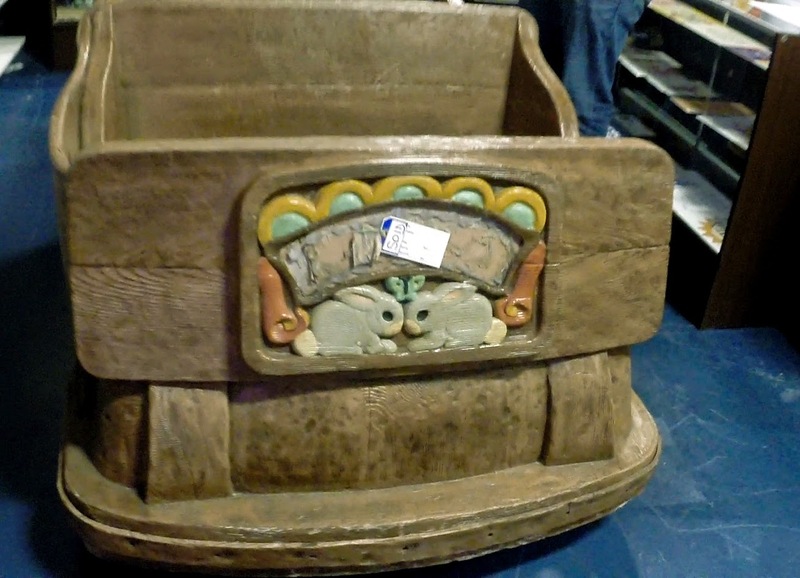 When asked, the sales people behind the counter were reluctant to say exactly how much the mine car had sold for, but they did indicate that it was in the thousands of dollars. 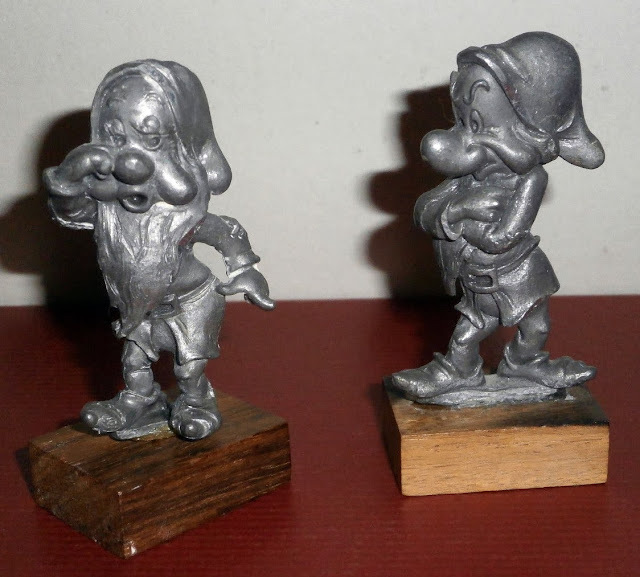 In a series of recent online auctions, Theme Park Connection was also offering the sign props from the ride vehicles--one for each Dwarf. 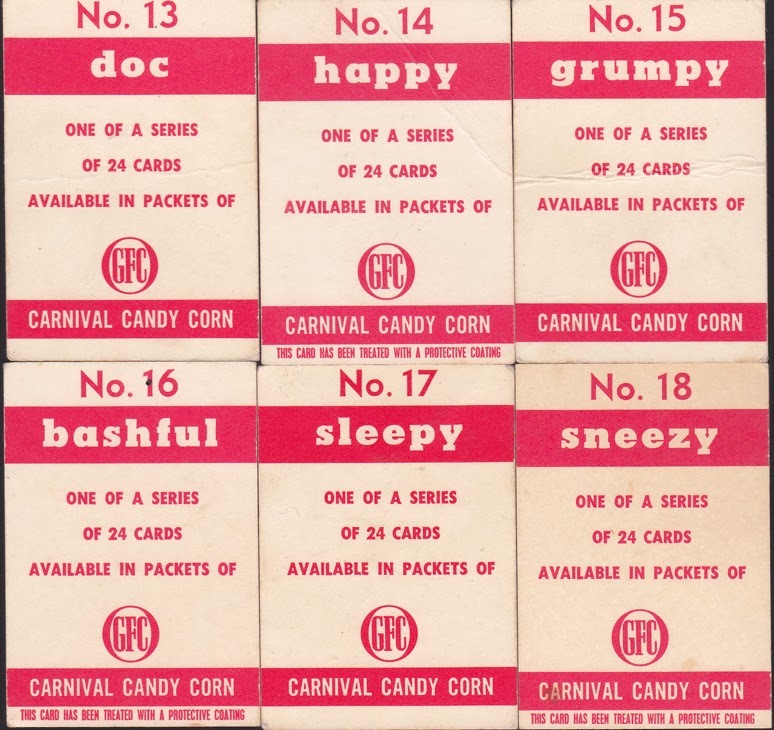 These name plates were made from resin and measured approximately 16" x 4' x 0.5". Most sold in the high $200 to low $300 range. 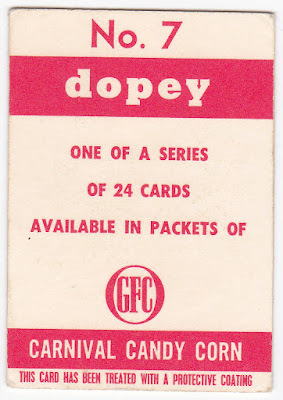 Although, Doc went for $404 and Dopey topped them all at $467.89. Name plate images via Theme Park Connection. 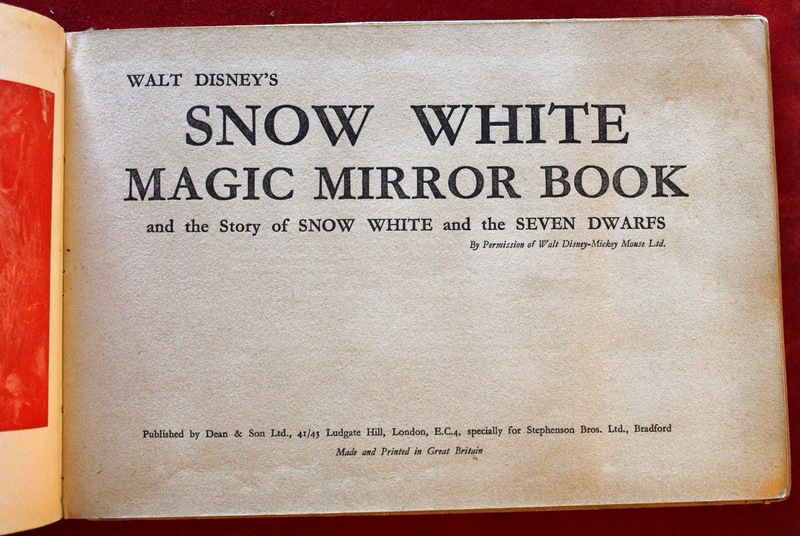 Circa 1938-1939, the Snow White Magic Mirror Book was published by Dean & Son Ltd., London. 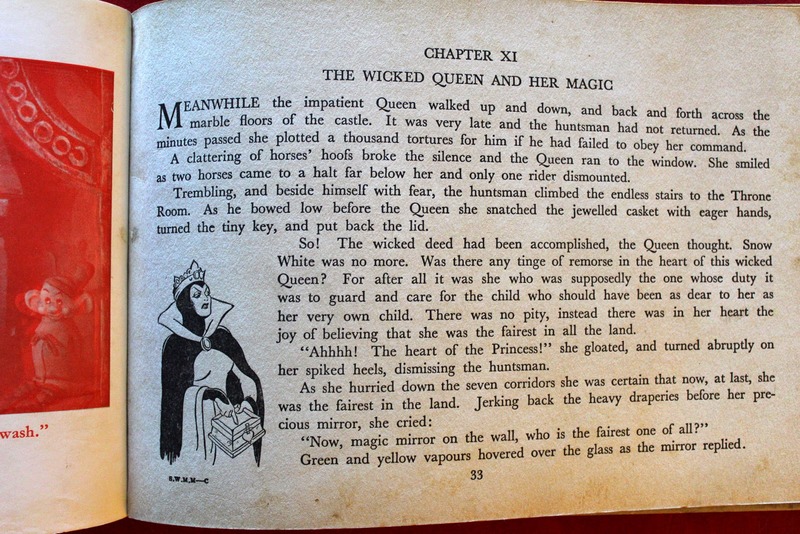 Hardcover, no dust jacket as issued. 60 pages. 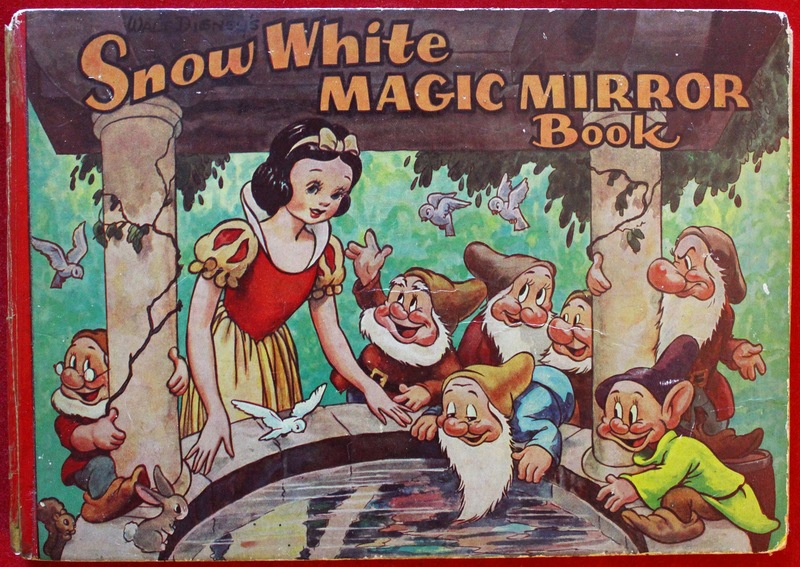 The handsome cover illustration features Snow and the Dwarfs at the Wishing Well. 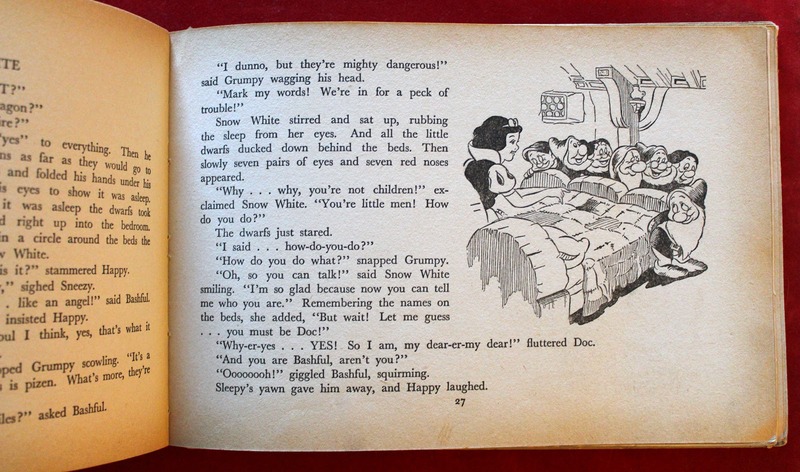 The book tells the complete story and includes an appearance from Snow White's mother before her death. 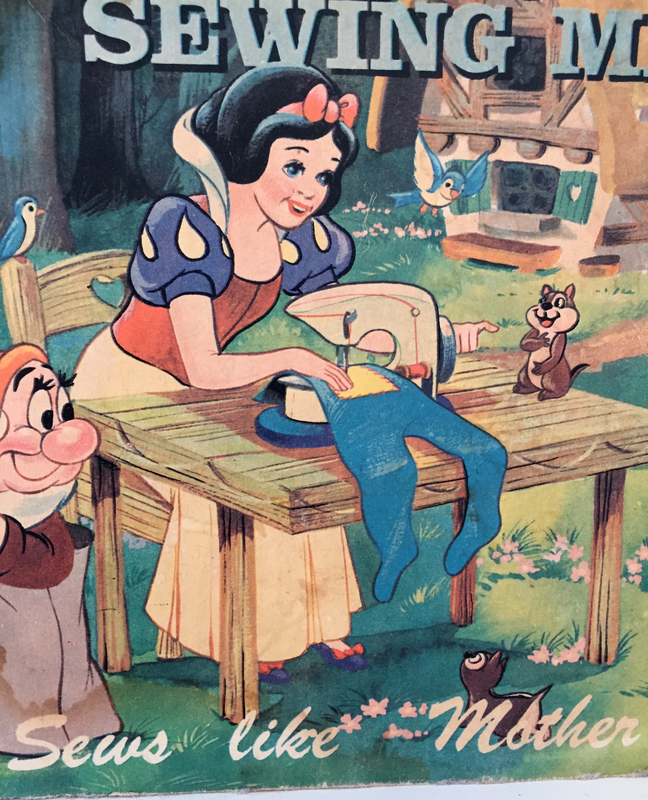 There's also the bed-building scene which was deleted from the final film. 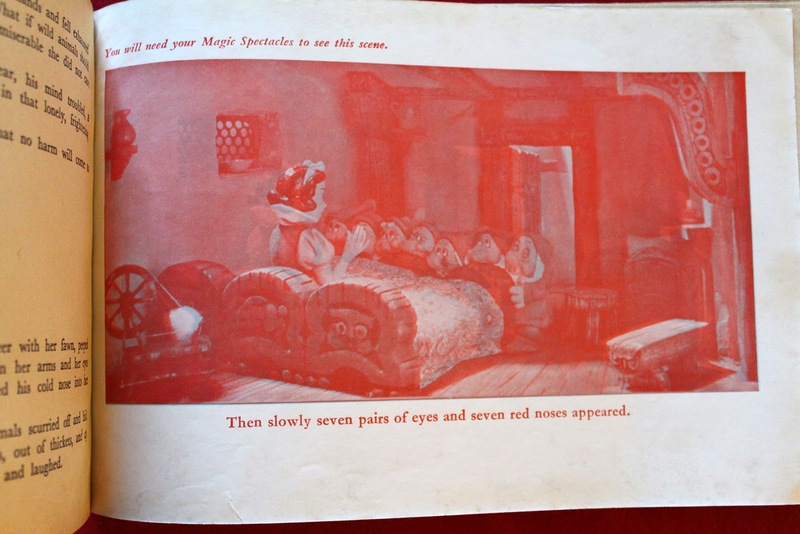 ...opposite the title page is the first of six red stereoscopic plates which--when viewed with the blue and red-lensed glasses--creates the illusion of three-dimensional depth. 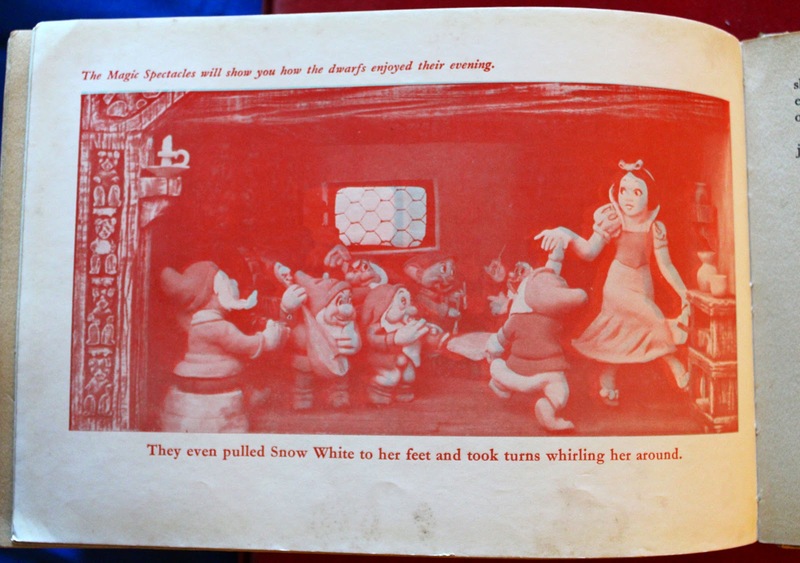 These single-sided pages are each printed on glossy art paper. 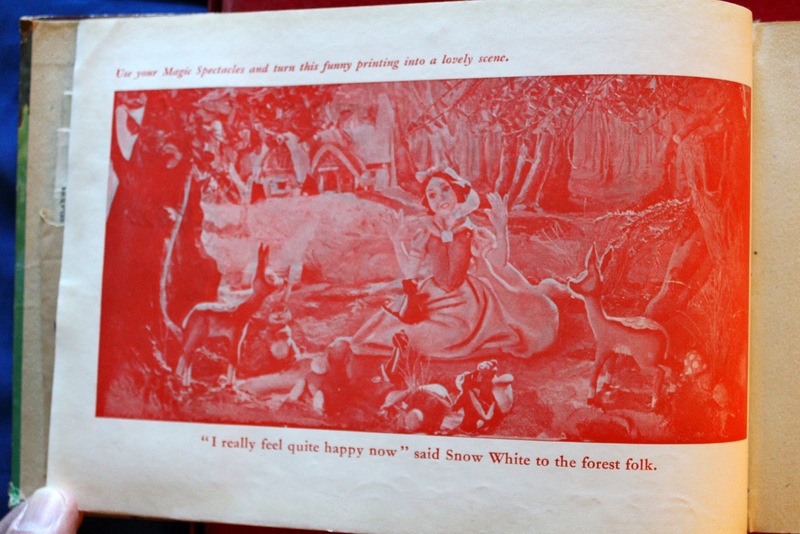 The book is also illustrated with black & white drawings throughout. 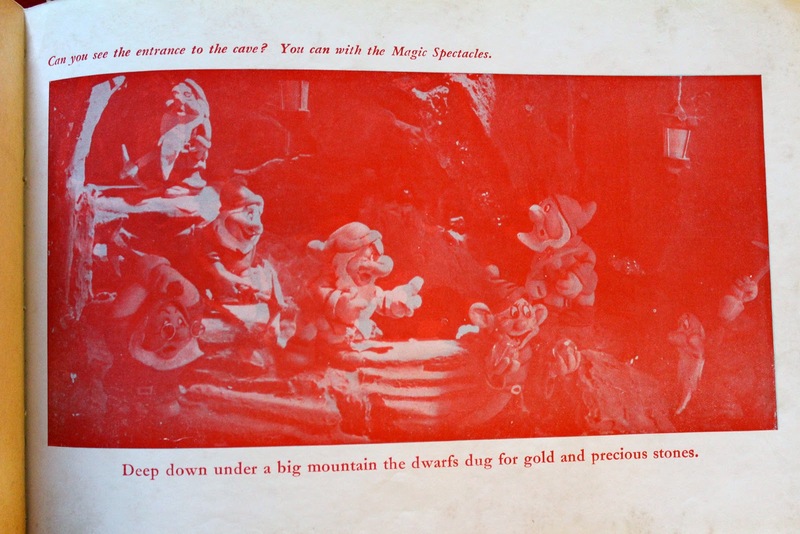 The stereoscopic images are actually 3D photographs of clay figures that are placed within small dioramas. 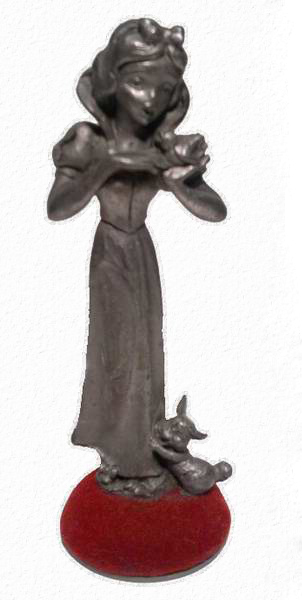 Would love to see these original figures someday, if they still exist in someone's Snow White colletion. The Queen has panthers? 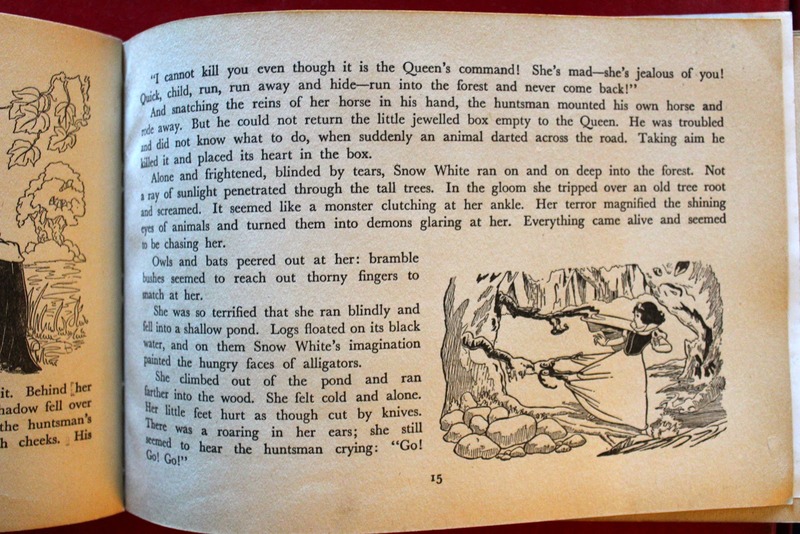 Learn a few more interesting anecdotes about this book at Whistle While We Blog. 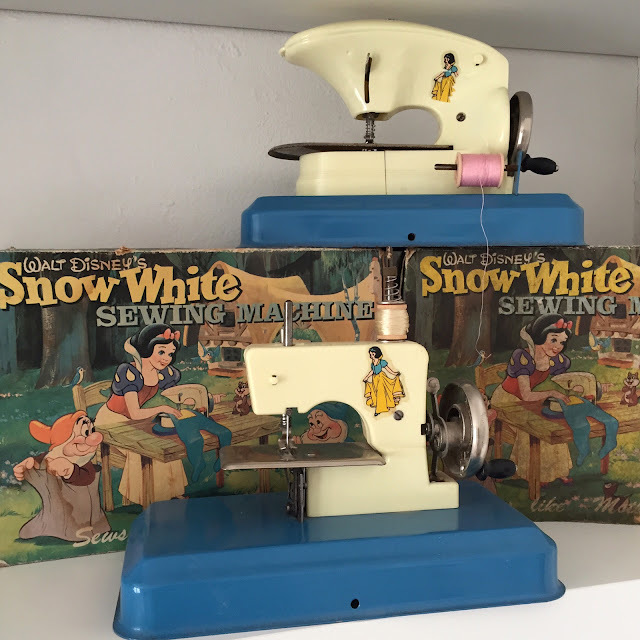 The only Disney-licensed Snow White sewing machine ever to be manufactured was produced during the 1950s by E.M. Gheysens in partnership with the Straco Toy Company. 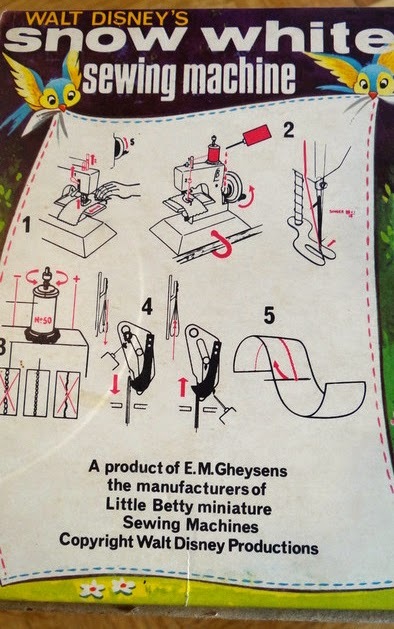 Extremely rare, this children's miniature machine is from the "Little Betty" series made in Kent, England. Model No. W4D. 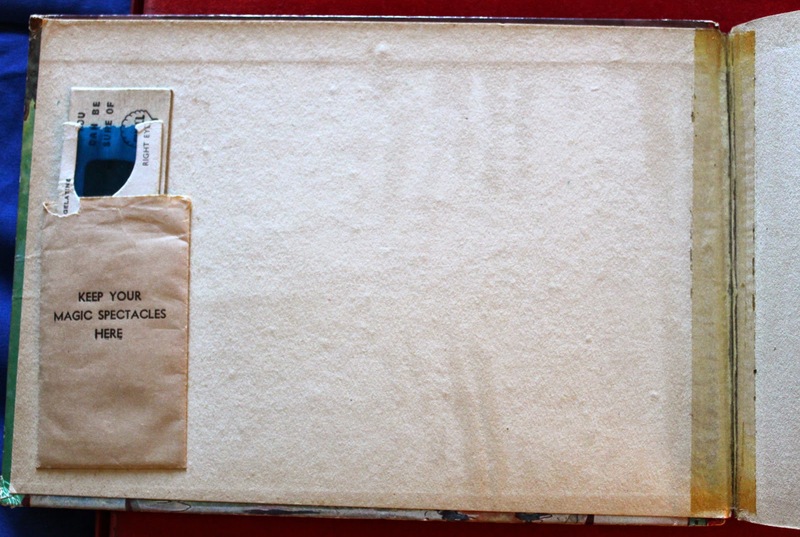 The box measures 18cm x 24cm and 12.5cm deep. 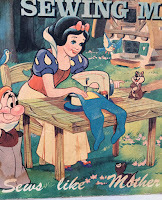 On the illustrated box cover, we see Snow White working away on a pair of Dwarf pants. 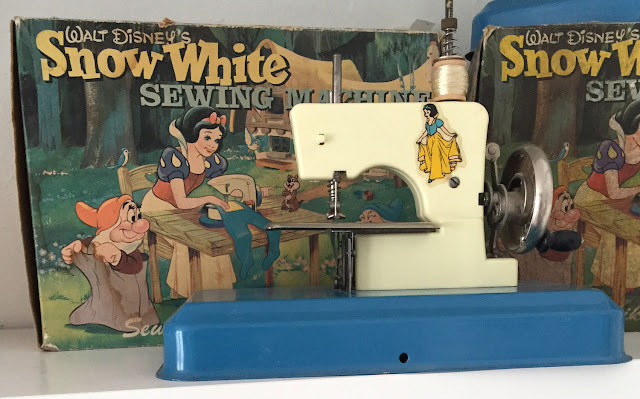 Sewing machine expert, Alex Askaroff, points out that the princess..."was so clever that she could sew with the sewing machine the wrong way round, sitting behind it using her left hand." 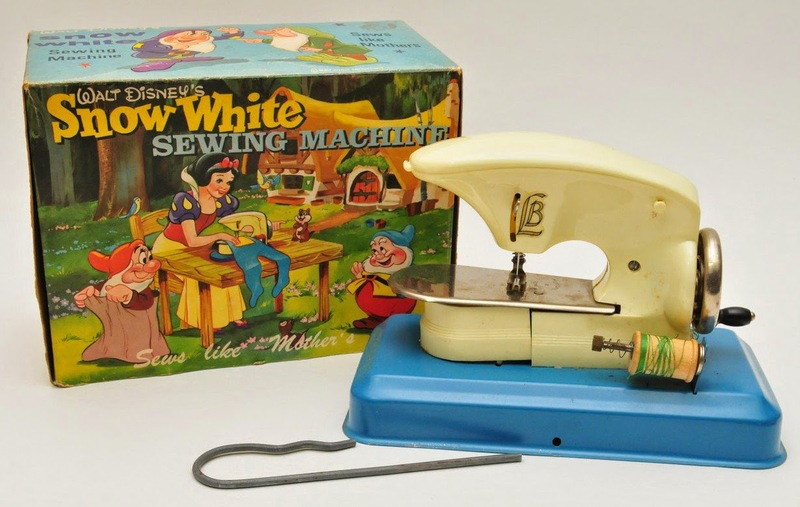 This Snow White model was a curved-top Midinette. 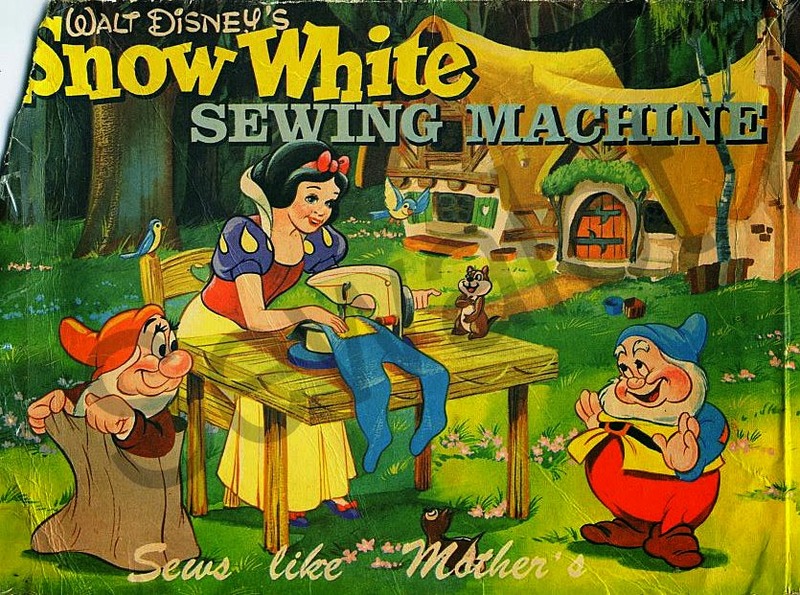 The side panel from the box shows a square design machine. Images and information generously provided by Alex Askaroff of Sewalot. 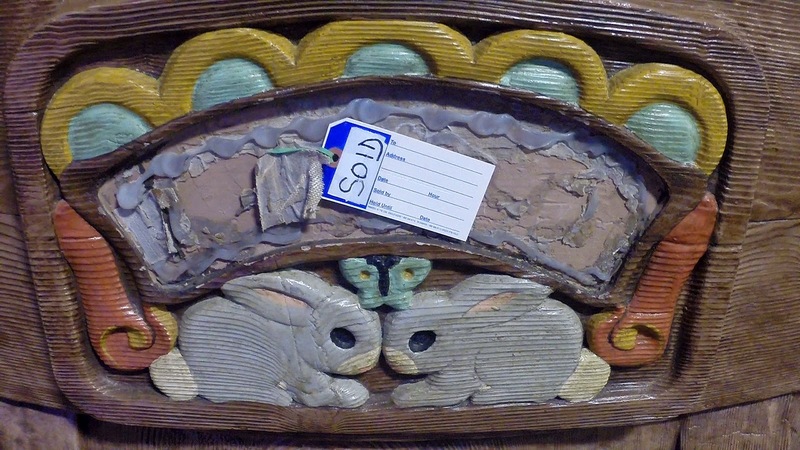 Additional pics via Catawiki and Stacey's Auctions. 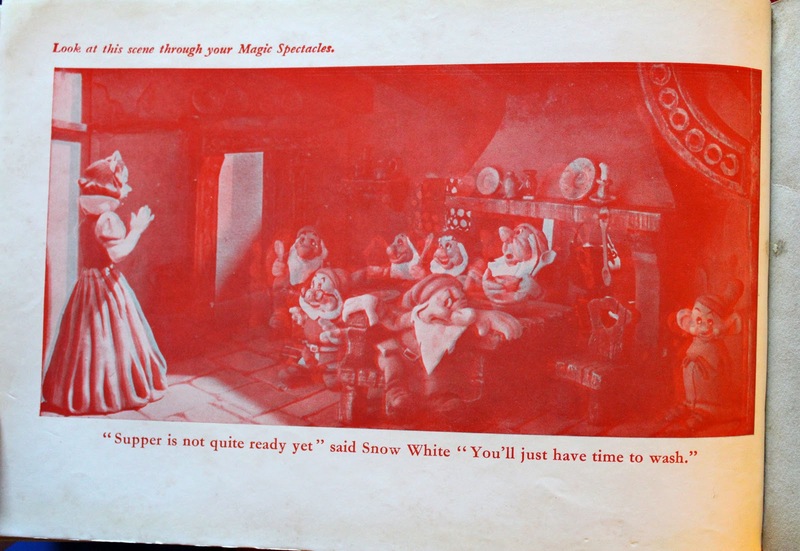 Here's a few additional images courtesy of the Mim McCormack Collection. 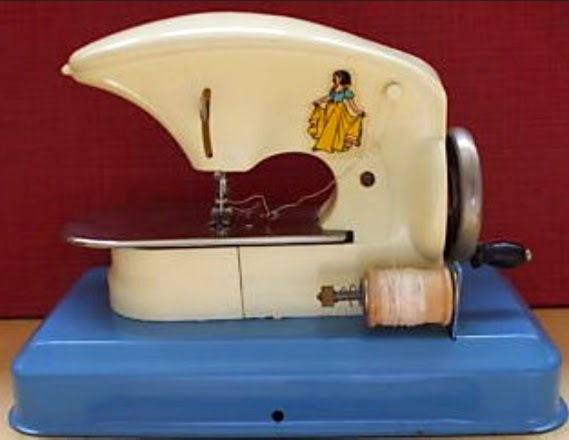 Both the Midinette and the square model are pictured. The boxes are the same for each. 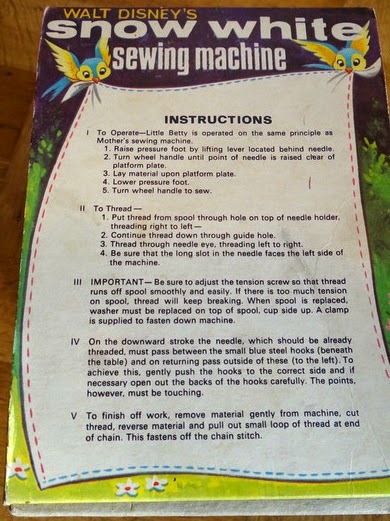 Mim bought the square machine from a lady who had had it as a child. 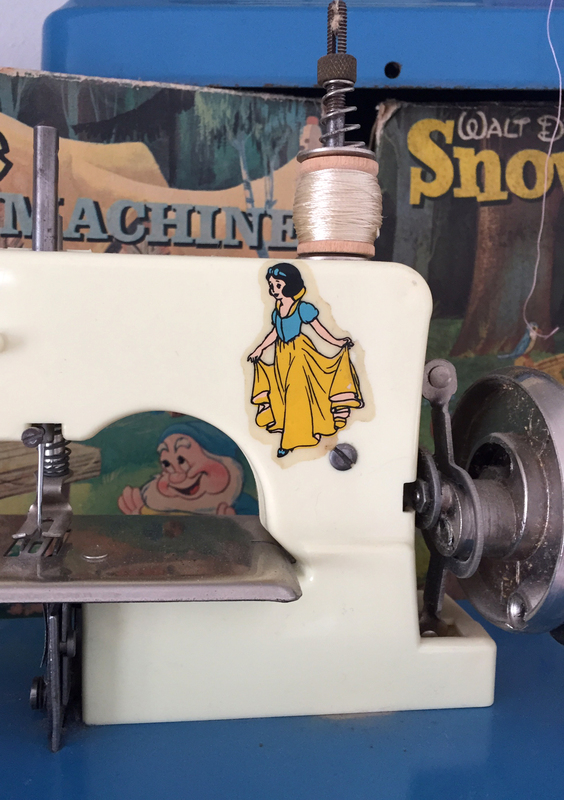 Note that they still have their original cotton reels too! 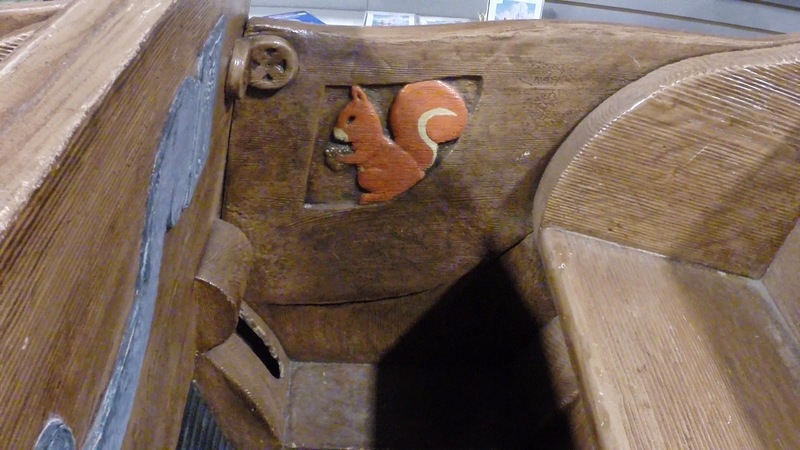 Close-up on the square model. 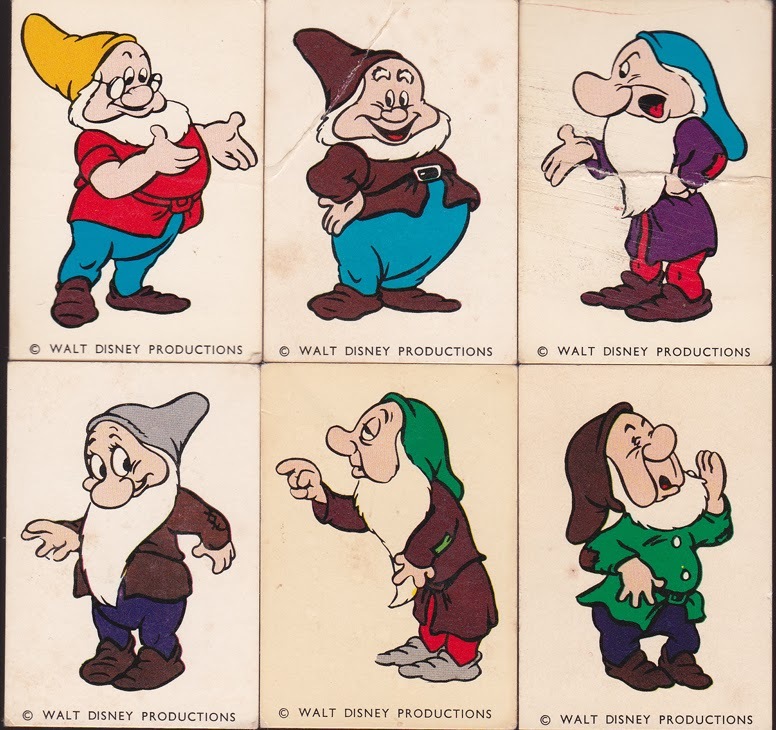 A series of 24 Disney trading cards were issued in Australia circa late 1960s. 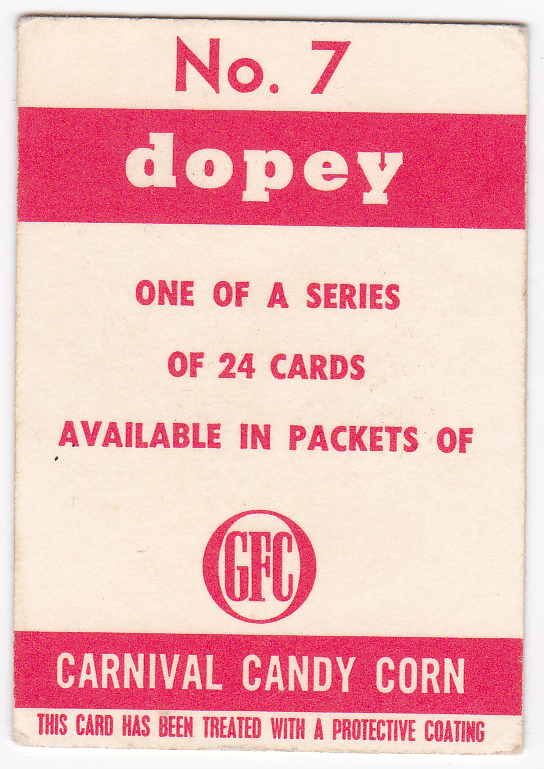 They were available in packets of GFC Carnival Candy Corn. Each measures approximately 6cm x 4.5cm. 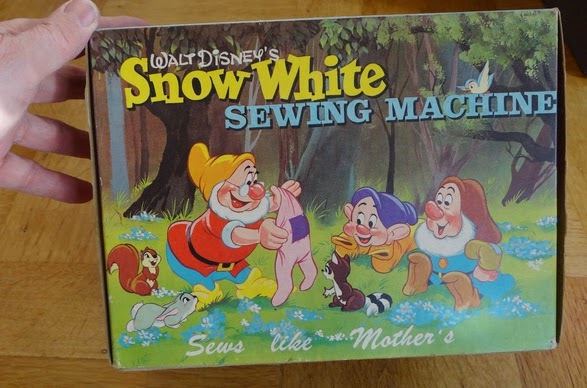 Officially licensed by the "© WALT DISNEY PRODUCTIONS" as noted along the bottom front. The series also included the Seven Dwarfs. 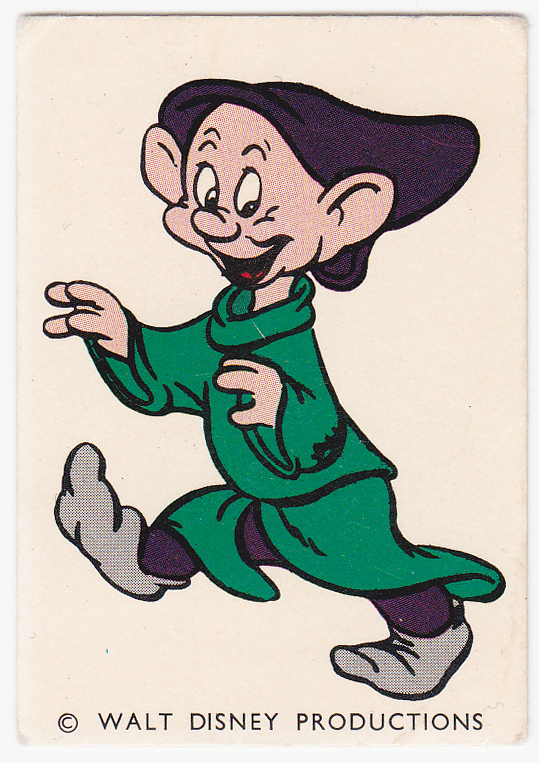 Card #7 is Dopey. The rest are #13-18. Card backs are numbered and named. Images and info courtesy of Cheryl Ridge.